Our goal at Mid-Atlantic Permitting Services, LLC is to save your company time and money through our superior expediting services. Our team understands the demands of the entire construction process. We have extensive knowledge on the architect and engineer plans, building codes, organization and managing skills. Mid-Atlantic expedites permits for demo projects, new construction, and interior buildouts. There are many facets of the commercial permitting process. Our desire here at Mid-Atlantic is to expedite your permits quickly in order to make your project a success. Why Hire a Permit Expeditor? As a permit expediting service, it is our business to know exactly when the applications must be submitted, the cost of the application submittals, and of course the precise information that is required on the applications. We know where to find the information necessary for each type of permit needed; sign permit, building permit, trade permit (mechanical, electrical, or plumbing). We are up to date on any changes in the permit regulations within your state and county. Frankly, hiring a permit expeditor will save you time and money allowing for your business to get started quicker and ultimately putting money in your pocket. Hiring Mid-Atlantic Permitting Services, LLC will be a cost-effective way to process your permits and it will allow your staff to be free to do other skilled work in order complete the project at hand. Call us today. ​and issuance of your permit. regulations and ordinances so we can head off issues with getting your project approved before it is ever submitted ​to the City, Town,​ or County for plan review. ​The commercial permitting process can be a tad convoluted, to say the least. Obtaining a sign permit, a building permit or a trade permit requires certain steps that, frankly, you and your business may not want to tackle by yourselves. That’s where we come in. 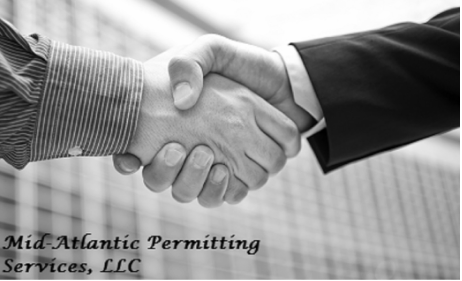 At Mid-Atlantic Permitting Services, LLC we recognize that businesses could benefit greatly from the permit expediting services that we provide. Code research is the first step that we will provide your company with in order to find out what can and cannot be done at your property site. First, we find the property zoning classification and then research the zoning ordinances that govern the development of the property. After compiling that information we present it to you so that you will have a better understanding of what can be proposed for the site. The next step is to prepare all of the necessary applications for the type of permit that your business is seeking. Our permit expeditor will take the applications and plans to the required county, city or town having jurisdiction and then submit the applications for you. If the jurisdictions have a review process, we will then walk the application through that review process. Mid-Atlantic will then monitor the review activity online for the jurisdictions that require a submittal with a longer review process. The staff reviewers from the jurisdictions will then report back to us with any plan review comments, in which, we will then report back to you and your design professionals so that any necessary changes can be made to the plans. We then take the revised plans back into the jurisdiction and walk it through when possible or resubmit it. Once all reviews are completed and approved, our permit expediter will log the permit and plans out of the city, county, or town and deliver the approved sets to you, our client. We do our best effort to pre-screen all submissions and head off any potential issues before the plans are submitted. If the initial proposal is denied or rejected for some reason, our team will promptly handle all variances and code modifications. This process includes filling out and filing the applications for the variance request, as well as providing the photo surveys needed for a variance. We would then assemble the presentation materials for the variance. Finally, our permit expeditor will attend the variance hearing and present the case to the variance board. As you have read, the permitting process can be time-consuming and multifaceted. If your company needs a permit fast, we can help. We are confident that our superior expediting services can deliver professional and rapid permits. Mid-Atlantic Permitting Services, LLC serves Maryland, Virginia and Washington DC. 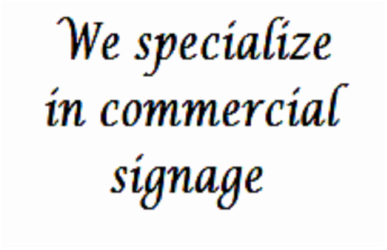 ​Sign Permit: Legal permission to post any symbols, words or pictorial information that is designed to advertise your business. ​Trade Permit: This is usually a general term used to describe separate permits for Electrical, Mechanical and Plumbing work. Building Permit: Before you start the construction on your new or existing building, you must first get authorization by the government in your municipality. Zoning: Separating land into sections in order to utilize the land for certain uses. Variance: A request for a waiver of requirements in order for the owner to use the land in a way that is not normally permitted. Special Use Permits: allow certain uses to be permitted in a zone that is normally not allowed. Submittal: architects and engineers are required to verify that the correct material data, drawings, samples and product data will be installed on the project.